Check out my Patreon page. 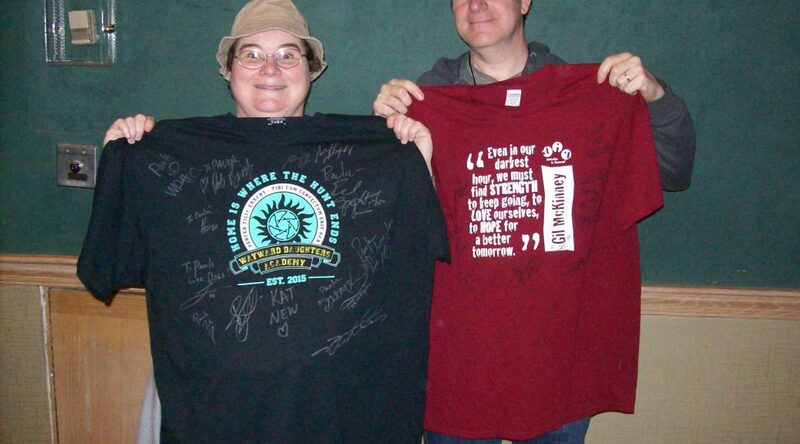 Help me keep this column going, pay Heather, and help me do my Supernatural reviews. My reviews of “The Big Empty” (13.04) and “Advanced Thanatology” (13.05) are now up. My review for “Tombstone” (13.06) will be up tonight. My live recap for episode 13.09 is also up. The show is back tonight from Christmas hiatus at 8pm with the backdoor pilot “Wayward Sisters” (13.10). I will live-recap it tomorrow night here and on Wayward Children. Season 13 titles so far: “Lost and Found” (13.01), synopsis and photos, promo, preview, sneak peeks, and Shaving People, Punting Things, as well as live recap and review; “The Rising Son” (13.02) synopsis and photos and promo; “Patience” (the first spinoff set-up episode) (13.03) synopsis; “The Big Empty” (13.04) synopsis, promo and official photos; “Advanced Thanatology” (13.05) synopsis, photos and promo; “Tombstone” (13.06) synopsis, promo and photos; “War of the Worlds” (13.07) synopsis photos, sneak peek and promo; “The Scorpion and the Frog” (13.08) synopsis, photos, promo and sneak peek; “The Bad Place” (13.09) (airing December 7) synopsis, photos, sneak peeks and promo; Christmas Break; “Wayward Sisters” (13.10, backdoor pilot for the spinoff, airs January 18), synopsis, photos, sneak peeks, featurette, interviews and promos, second promo and related tweets; “Breakdown” (13.11) synopsis and photos, this is supposed to be Donna-heavy; “Various & Sundry Villains” (13.12) (previously called “The Midnight Train” and originally, the title was “Stakes on a Train”) synopsis, Rowena returns; “Devil’s Bargain” (13.13), written by Brad Buckner and Eugenie Ross-Leming, introducing Danneel Ackles as a faith healer named Sister Jo who is blackmailed by Lucifer, set photos here; “Only the Best Intentions” (13.14) Jack, alt-Michael, alt-Bobby and Mary all return; “A Most Holy Man” (13.15); “ScoobyNatural” (13.16, cartoon episode, appears in March), “The Thing” (13.17); “Bring ’em Back Alive” (13.18). Episode 13.11 (“Breakdown”) has promotional photos up. The “Wayward Sisters” (13.10) episode has three sneak peaks and a featurette out. Kim Rhodes also did a new interview with Variety. The show is heading to Paleyfest for the first time in years. They’ll appear at 6:45pm on March 20. The CW’s midseason promo is up. 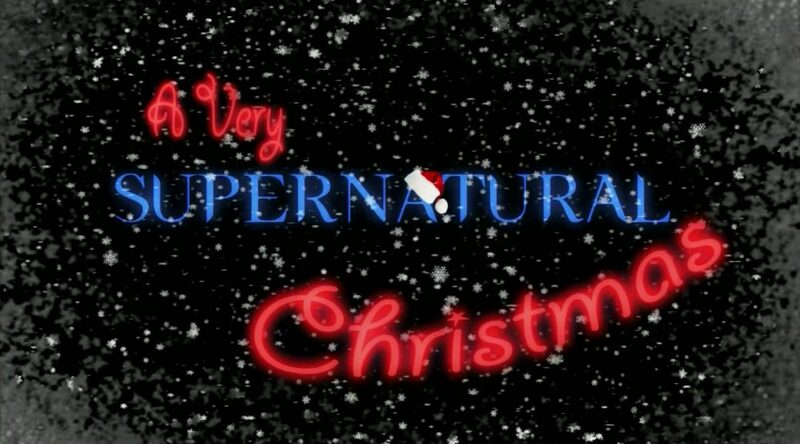 If you blink, you’ll miss Sam and Dean at 0:10-12. 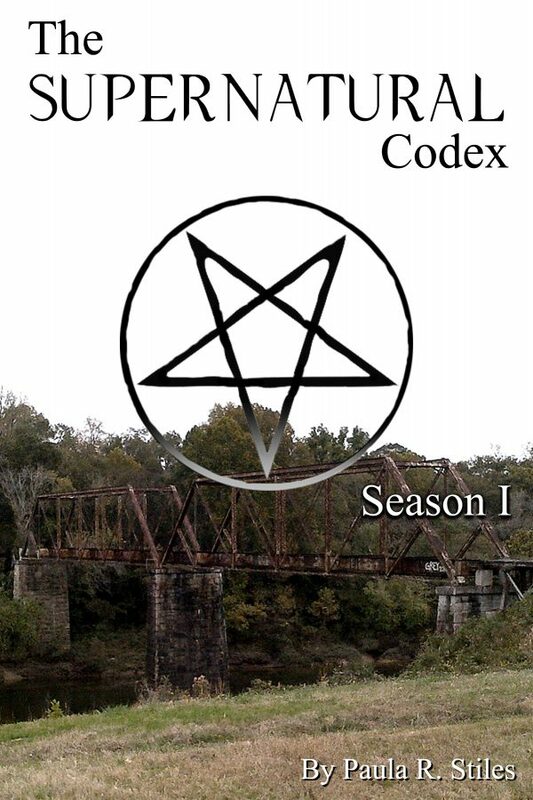 The spin-off premise and new characters has been introduced via several episodes in season 13. 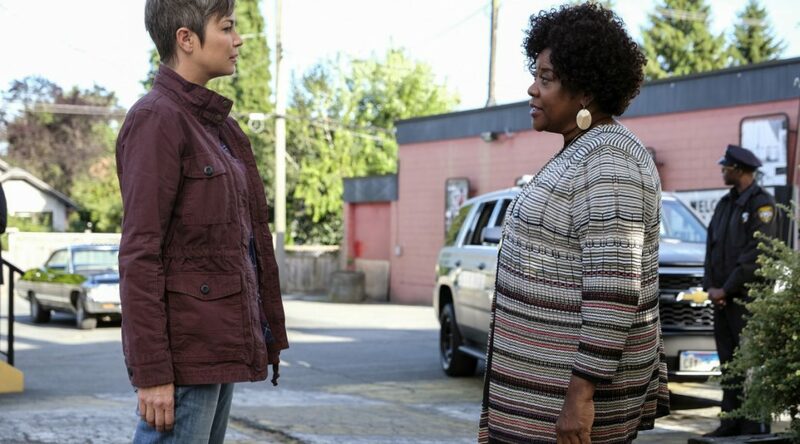 Patience will be introduced in “Patience” (13.03), which also brings back season one character Missouri Moseley (who is Patience’s estranged grandmother and from whom Patience has inherited her psychic gift). The actual backdoor pilot will be “Wayward Sisters” (13.10). Donna will also get a major episode in “Breakdown” (13.11). There’s a new promo out for the spin-off that’s Claire-centric. The show is currently averaging a 0.6 in the demo, putting it second on the network and even with last season. Between this and the resurgence of Riverdale, the CW is the only broadcast network that has not dropped in average demo since last season. The show had a repeat last week that came in at 0.2/1 in the demo (0.246 in the unrounded overnights) and 1.03 million in audience in the overnights. It was preempted by holiday programming during Christmas week. Apologies for the delay, but there was basically nothing on the spoilers chart to report until late this past week. Now, with the new year, we’re cranking things back up. My reviews of “The Rising Son” (13.02) and “Patience” (13.03) are now up, with more to come. My live recap for episode 13.09 is also up. Season 13 titles so far: “Lost and Found” (13.01), synopsis and photos, promo, preview, sneak peeks, and Shaving People, Punting Things, as well as live recap and review; “The Rising Son” (13.02) synopsis and photos and promo; “Patience” (the first spinoff set-up episode) (13.03) synopsis; “The Big Empty” (13.04) synopsis, promo and official photos; “Advanced Thanatology” (13.05) synopsis, photos and promo; “Tombstone” (13.06) synopsis, promo and photos; “War of the Worlds” (13.07) synopsis photos, sneak peek and promo; “The Scorpion and the Frog” (13.08) synopsis, photos, promo and sneak peek; “The Bad Place” (13.09) (airing December 7) synopsis, photos, sneak peeks and promo; Christmas Break; “Wayward Sisters” (13.10, backdoor pilot for the spinoff, airs January 18), synopsis, photos, interviews and first promo, second promo and related tweets; “Breakdown” (13.11) synopsis, this is supposed to be Donna-heavy; “Various & Sundry Villains” (13.12) (previously called “The Midnight Train” and originally, the title was “Stakes on a Train”) Rowena returns; “Devil’s Bargain” (13.13), written by Brad Buckner and Eugenie Ross-Leming, introducing Danneel Ackles as a faith healer named Sister Jo who is blackmailed by Lucifer, set photos here; “Only the Best Intentions” (13.14) Jack, alt-Michael, alt-Bobby and Mary all return; “A Most Holy Man” (13.15); “ScoobyNatural” (13.16, cartoon episode, appears in March), “The Thing” (13.17); “Bring ’em Back Alive” (13.18). Alexander Calvert gave an interview to Elle in which he talked about the fandom’s reaction to him, convention life, and the Instagram account he and his girlfriend have up for his very fluffy and adorable cat, The Lord Tyrion. Set info is coming out about episode 13.14 (“Only the Best Intentions”), which began filming on January 2. Christian Keys (alt-Michael) tweeted a photo of himself with Calvert as they went back to filming in the new year (Calvert also tweeted about filming in a forest). This indicates alt-Michael and Jack will be in 13.14 and interacting in the same scene. It appears that alt-Bobby will also be in this episode, since Jim Beaver tweeted a first-look selfie the next day and mentioned filming with Samantha Smith (Mary) in mud (reportedly in Belcarra Park in Port Moody). She responded in the same thread by showing her alt-verse costume on the floor. Hmmm, could it be our alt-world cast are now in the SPNverse as of 13.14? Or in the Bad Place? Or do they get back in this episode, since there’s filming in the quarry that’s the alt-verse set this week? Danneel and her husband will be opening up their new brewery, The Family Business, for … uh … business in Dripping Springs, TX on my birthday. And I’ll be stuck up here. Oh, well. CW head Mark Pedowitz has re-upped his contract with the network. He also issued his annual “This show isn’t going anywhere until the leads hang it up” announcement. 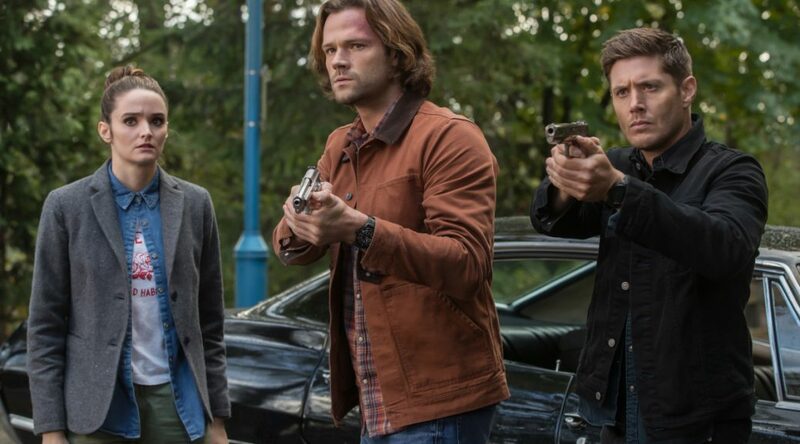 While he was cagey in a recent interview about making it official (because they’re not ready to announce show renewals), it’s highly doubtful the show won’t get a 14th season – and a full one, at that – unless Jared Padalecki and Jensen Ackles don’t want to return. Supernatural alumnus Sterling K. Brown (Gordon Walker) won a Golden Globe award this week for best actor in his latest role in series This Is Us. He’d previously won an Emmy last fall for the same role. Richard Speight Jr. has a new interview out about directing the show. Warner Bros has announced details about the upcoming Wayward Sisters spin-off. As we already know, it will star Kim Rhodes (Jody Mills) and the rumor that Briana Buckmaster (Donna Hanscum) is in it was confirmed. 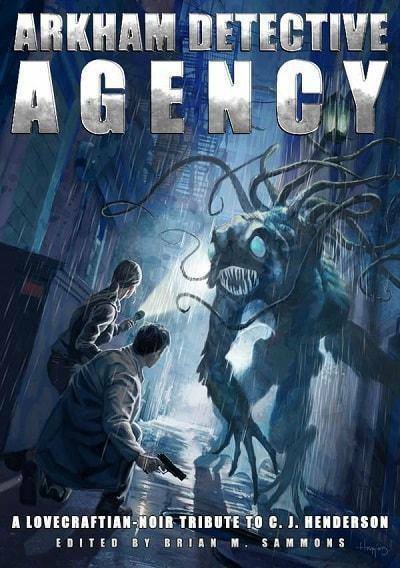 Also starring will be Kathryn Newton (Claire Novak) and Alex Jones (Katherine Ramdeen), as well as new lead character Patience Turner (played by Clark Backo). Another new character, Kaia (Yadira Guevar-Prip), has been added to the main cast list. Kaia’s “gift” will be the ability to spirit travel. Putting out a column on Thanksgiving Day may seem like an exercise in futility, but we kinda have to do one, since a new episode, “War of the Worlds” (13.07), is coming out tonight. It’s a Nepotism Duo special, so it looks as though the show is burying it here for a reason. Sure, there have been some fan favorites that aired in dire slots on holidays (“Frontierland” airing on Maundy Thursday springs to mind), with predictable ratings results. But with the writing duo in question, we should probably keep our expectations low. Very low. Anyhoo, expect some ratings carnage tomorrow morning. My live recap for episode 13.06 is up. I will be doing the next one at 8pm Friday (tomorrow) night, EST. Apologies for getting behind on my reviews. 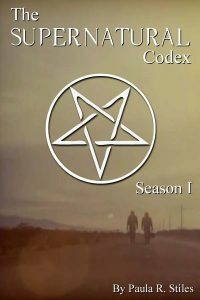 I have been busy preparing two books for publication before Christmas, a cookbook my mom created years ago of recipes from various members of our family and the long-promised collection of Supernatural: Season One reviews. Both will come out in Kindle and print. I’m shooting for the end of Thanksgiving weekend on the Kindle version (hopefully). 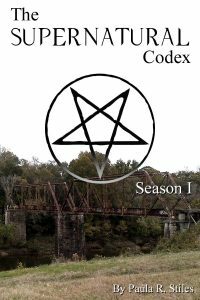 For Supernatural, I’ve decided on the bridge cover for season one and the creepy room one (somewhat modified) for season two. Many thanks for everyone’s feedback. It’s much appreciated. Season 13 titles so far: “Lost and Found” (13.01), synopsis and photos, promo, preview, sneak peeks, and Shaving People, Punting Things, as well as live recap and review; “The Rising Son” (13.02) synopsis and photos and promo; “Patience” (the first spinoff set-up episode) (13.03) synopsis; “The Big Empty” (13.04) synopsis, promo and official photos; “Advanced Thanatology” (13.05) synopsis, photos and promo; “Tombstone” (13.06) synopsis, promo and photos; “War of the Worlds” (13.07) synopsis photos, sneak peek and promo; “The Scorpion and the Frog” (13.08) synopsis; “The Bad Place” (13.09) (airing December 7) synopsis; Christmas Break; “Wayward Sisters” (13.10, backdoor pilot for the spinoff, airs January 18); “Various & Sundry Villains” (13.11) (previously called “The Midnight Train” and originally, the title was “Stakes on a Train,” though there also appears to have been a switch of episodes between 13.11 and 13.12) ; “Breakdown” (13.12); “Devil’s Bargain” (13.13); “Only the Best Intentions” (13.14); “A Most Holy Man” (13.15); “ScoobyNatural” (13.16, cartoon episode, appears in March), “The Thing” (13.17); “Bring ’em Back Alive” (13.18). 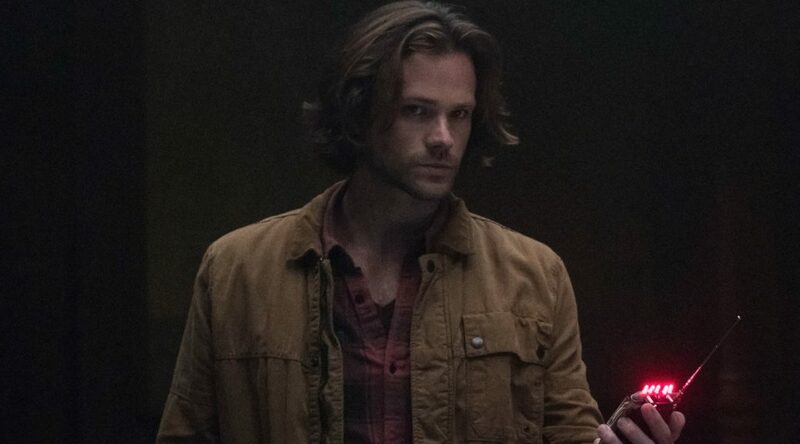 JACK AND KAIA DISRUPT THE WORLD – Jack (Alexander Calvert), desperate to prove to Sam (Jared Padalecki) and Dean (Jensen Ackles) that he is good and that he can control his powers, enlists the help of a dreamcatcher named Kaia (guest star Yadira Guevara-Prip) to help him find Mary Winchester (guest star Samantha Smith) and save her from the alternate universe. However, when plans go awry, the Winchester brothers are the ones who need saving. Phil Sgriccia directed the episode written by Robert Berens (#1309). Original airdate 12/7/2017. This last episode before Christmas is the introduction for Kaia, the last of the new characters for the spin-off (the next episode will be the spin-off, which will kick off the show’s return from Christmas Hellatus in January). To be honest, it sounds pretty stupid, but Patience’s intro didn’t sound so hot on paper and she turned out okay, so fingers crossed. Photos, sneak peek and a promo are up for this week’s “War of the Worlds” (13.07). Alexander Calvert (Jack) gave a brief interview about how Jack will try to redeem himself with TFW2.0 by rescuing Mary from the Hell Dimension. We rarely get a look at how much Supernatural really makes for its studio, but this recent article opens the door wide, as does this one. It turns out show creator Eric Kripke is sueing Warner Bros for a share of the profits, citing their Hollywood Accounting for underpaying him his cut. $570 million, people – that’s how much this show made in its first eight seasons alone. And that’s what the studio is admitting to. 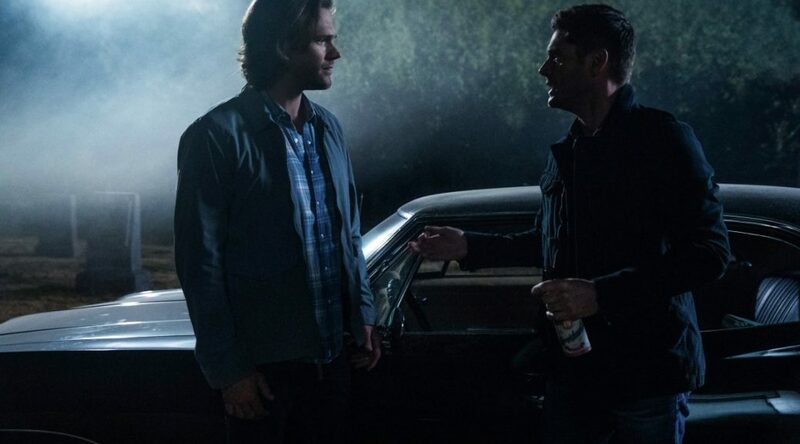 These arbitration proceedings should turn out to be awfully interesting for us fans, but don’t expect Kripke back with the show any time soon as a result. Oddly, this slipped under the fandom radar when it first came out last week. The show stayed at second place on the network again last week, Castiel’s return bringing a rise to a 0.7/2 (up from a 0.647 and half-hours of 0.679, 0.614 in the overnights) and 1.89 million in audience. This once again put it firmly in second place in the demo, though tying with Supergirl in audience. No new DVR news this week for the show. My live recap for episode 13.05 is up. I will be doing the next one at 8pm Friday (tomorrow) night, EST. Season 13 titles so far: “Lost and Found” (13.01), synopsis and photos, promo, preview, sneak peeks, and Shaving People, Punting Things, as well as live recap and review; “The Rising Son” (13.02) synopsis and photos and promo; “Patience” (the first spinoff set-up episode) (13.03) synopsis; “The Big Empty” (13.04) synopsis, promo and official photos; “Advanced Thanatology” (13.05) synopsis, photos and promo; “Tombstone” (13.06) synopsis, promo and photos; “War of the Worlds” (13.07) synopsis; “The Scorpion and the Frog” (13.08) synopsis; “The Bad Place” (13.09) (airs December 7) synopsis; Christmas Break; “Wayward Sisters” (13.10, backdoor pilot for the spin-off, airs January 18); “Various & Sundry Villains” (13.11) (previously called “The Midnight Train” and originally, the title was “Stakes on a Train,” though there also appears to have been a switch of episodes between 13.11 and 13.12) ; “Breakdown” (13.12); “Devil’s Bargain” (13.13); “Only the Best Intentions” (13.14); “A Most Holy Man” (13.15); “ScoobyNatural” (13.16, cartoon episode, appears in March), “The Thing” (13.17); “Bring ’em Back Alive” (13.18). This is the last episode of 2017 (i.e., before the Christmas break) and introduces the final main character in the spin-off, Kaia. Photos and a promo are up for this week’s “Tombstone” (13.06). Misha Collins gave a brief interview about Castiel’s reunion with Jack this week. He spoke more at length about it with TV Line and also gave a somewhat longer interview with EW. Warner Bros has announced details about the upcoming Wayward Sisters spin-off. As we already know, it will star Kim Rhodes (Jody Mills) and the rumor that Briana Buckmaster (Donna Hanscum) is in it was confirmed. Also starring will be Kathryn Newton (Claire Novak) and Alex Jones (Katherine Ramdeen), as well as new character Patience Turner (played by Clark Backo). Another new character, Kaia (Yadira Guevar-Prip), has been added to the main cast list (she first appears in 13.09). Kaia’s “gift” will be the ability to spirit travel. 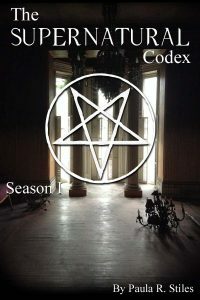 The spin-off premise and new characters will be introduced via several episodes in season 13. Patience was introduced in “Patience” (13.03), which also brings back season one character Missouri Moseley (who is Patience’s estranged grandmother and from whom Patience has inherited her psychic gift). The actual backdoor pilot will be “Wayward Sisters” (13.10). The count for Supernatural calendars for 2018 is now four: a charity calendar called If I Could Tell You: The Women of Supernatural that just ended its campaign, two large calendars out on July 1 and two mini calendars on September 1. The show stayed at second place on the network again last week with a 0.6/2 (rounded up from a 0.596 and half-hours of 0.601, 0.590) and dipping slightly in audience to 1.71 million. This once again put it firmly in second place, though Supergirl got a somewhat higher audience. So far this season (up through episode 13.03, Live+3), Supernatural has only cracked the top 25 DVR ratings twice. For the season premiere, it rose from a 0.7 to 1.0 in the Live+3 A18-49 demo and from 2.107 million to 2.819 million in Live+3 audience. For 13.03 (“Patience”), it rose from a 0.6 to a 1.1 in the Live+7 A18-49 demo. This is good news for the spin-off, indicating people continued to sample the episode over the week after its live debut. My live recap for episode 13.04 is up. I will be doing the next one at 8pm Friday (tomorrow) night, EST. Season 13 titles so far: “Lost and Found” (13.01), synopsis and photos, promo, preview, sneak peeks, and Shaving People, Punting Things, as well as live recap and review; “The Rising Son” (13.02) synopsis and photos and promo; “Patience” (the first spinoff set-up episode) (13.03) synopsis; “The Big Empty” (13.04) synopsis, promo and official photos; “Advanced Thanatology” (13.05) synopsis, photos and promo; “Tombstone” (13.06) synopsis; “War of the Worlds” (13.07) synopsis; “The Scorpion and the Frog” (13.08); “The Bad Place” (13.09) (probably December 7); Christmas Break; “Wayward Sisters” (13.10, backdoor pilot for the spinoff); “Various & Sundry Villains” (13.11) (previously called “The Midnight Train” and originally, the title was “Stakes on a Train,” though there also appears to have been a switch of episodes between 13.11 and 13.12) ; “Breakdown” (13.12); “Devil’s Bargain” (13.13); “Only the Best Intentions” (13.14); “A Most Holy Man” (13.15); “ScoobyNatural” (13.16, cartoon episode, appears in March), “The Thing” (13.17); “Bring ’em Back Alive” (13.18). Much as I like RSJ, this is another Nepotism Duo special, so it’s pretty much guaranteed to be dull and almost certainly terrible. The synopsis certainly sounds busy enough, which means talktalktalk to avoid busting the budget. I guess that explains why it’s airing Thanksgiving Day. No, I am not kidding. Episode titles for 13.15, 13.17 and 13.18 are now up. Photos and a promo are up for this week’s “Advanced Thanatology” (13.05). Show creator Eric Kripke has signed on to do a new series, this time with Amazon, called The Boys. The “Wayward Sisters” backdoor pilot completed filming yesterday. The count for Supernatural calendars for 2018 is now four: a charity calendar called If I Could Tell You: The Women of Supernatural, taking orders now (for one more day), two large calendars out on July 1 and two mini calendars on September 1. The show stayed at second place on the network again last week staying at 0.6/2 and dipping slightly in audience to 1.82 million. Again, while Riverdale got the same rounded demo, it only pulled an unrounded 0.567 to Supernatural‘s 0.631 (0.628 in the first half-hour up to 0.633 in the second) in the overnights, and dipped to 1.51 million in audience in the finals. More significantly, though Supernatural does tend to bounce around a little, Riverdale dropped, while Supernatural went up a bit in demo. The network has been promoting Riverdale heavily since this past summer and it appeared to work, at least for a while. But it seems that the show can’t hold its audience. Should be interesting to see where it ends up next spring, considering how low it dropped last spring. Supernatural, meanwhile, remains safe as houses. My live recap for episode 13.03 is up. I will be doing the next a bit late again on Friday night. Season 13 titles so far: “Lost and Found” (13.01), synopsis and photos, promo, preview, sneak peeks, and Shaving People, Punting Things, as well as live recap and review; “The Rising Son” (13.02) synopsis and photos and promo; “Patience” (the first spinoff set-up episode) (13.03) synopsis; “The Big Empty” (13.04) synopsis, promo and official photos; “Advanced Thanatology” (13.05) synopsis; “Tombstone” (13.06) synopsis; “War of the Worlds” (13.07); “The Scorpion and the Frog” (13.08); “The Bad Place” (13.09) (probably December 7); Christmas Break; “Wayward Sisters” (13.10, backdoor pilot for the spinoff); “The Midnight Train” (13.11); “Various and Sundry Villains” (13.12); “Breakdown” (13.13); “Devil’s Bargain” (13.14); “Only the Best Intentions” (13.15); “ScoobyNatural” (13.16, cartoon episode, appears in March). 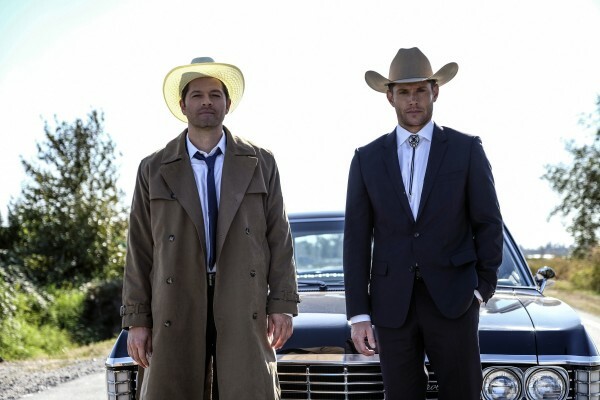 GO AHEAD … MAKE MY DAY – Castiel (Misha Collins) is reunited with Jack (Alexander Calvert) and together with Sam (Jared Padalecki) and Dean (Jensen Ackles), they head to a sleepy old western town to investigate a murder. Dean gets to live out his boyhood fantasy when he comes face to face with a famous, gun-slinging outlaw. Nina Lopez-Corrado directed the episode written by Davy Perez (#1306). Original airdate 11/16/2017. Photos and a promo are up for “The Big Empty” (13.04). The count for Supernatural calendars for 2018 is now four: a charity calendar called If I Could Tell You: The Women of Supernatural, taking orders now, two large calendars out on July 1 and two mini calendars on September 1. The show stayed at second place on the network last week by dipping to a 0.6/2 and going up slightly in audience to 1.93 million. While Riverdale got the same rounded demo, it only pulled a 0.602 to Supernatural‘s 0.609 (0.625 in the first half-hour to 0.593 in the second) and only clocked 1.62 million in audience, which is nothing to crow about. The half-hours for Supernatural dipped from 0.6/3 and 1.98 million to 0.6/2 and 1.87 million. Considering this was the first preview of the backdoor pilot, that’s not too bad. In Twitter activity, the show came in second for the night, behind the Latin American Music Awards. This article claims you can watch new episodes live on the CW app now, so I will try that tonight. My live recap for episode 2 is up. Season 13 titles so far: “Lost and Found” (13.01), synopsis and photos, promo, preview, sneak peeks, and Shaving People, Punting Things, as well as live recap and review; “The Rising Son” (13.02) synopsis and photos and promo; “Patience” (the first spinoff set-up episode) (13.03) synopsis; “The Big Empty” (13.04) synopsis; “Advanced Thanatology” (13.05) synopsis; “Tombstone” (13.06); “War of the Worlds” (13.07); “The Scorpion and the Frog” (13.08); “The Bad Place” (13.09) (probably December 7); Christmas Break; “Wayward Sisters” (13.10, backdoor pilot for the spinoff); “The Midnight Train” (13.11); “Various and Sundry Villains” (13.12); “Breakdown” (13.13); “Devil’s Bargain” (13.14); “Only the Best Intentions” (13.15); “ScoobyNatural” (13.16, cartoon episode, appears in March). A TV Line interview with Alexander Calvert discussed Jack’s touchy relationship with a “volatile” Dean. He talked more generally about the character with Variety. According to Brad Buckner, half of the dreaded Nepotism Duo, Sam’s storyline this first half of the season will involve training Jack in his powers. Yay. Buckner also shared some rather underwhelming tidbits about the upcoming Scooby-Doo episode. 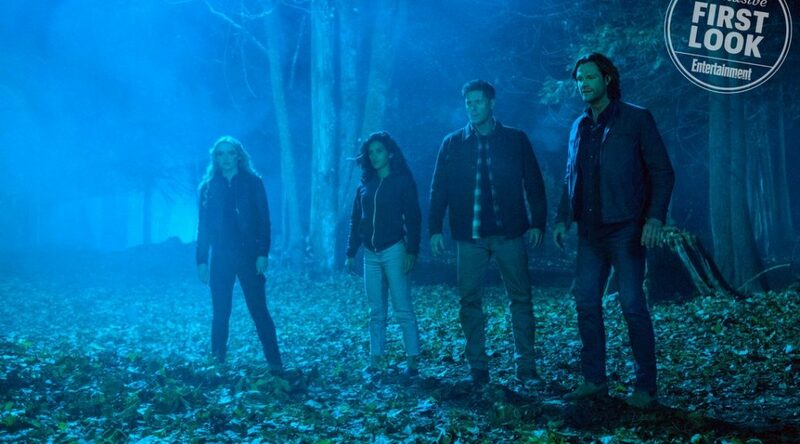 BILLIE RETURNS … BUT NOT LIKE BEFORE – While working on a case involving the ghost of a demented doctor, Sam (Jared Padalecki) and Dean (Jensen Ackles) get assistance from an unexpected source – Billie (guest star Lisa Berry). Castiel (Misha Collins) finds his way back to the Winchesters. John Showalter directed the episode written by Steve Yockey (#1305). Original airdate 11/9/2017. As if that weren’t enough major character-return spoilage, Robert Singer also confirmed the rumor that Rowena will be back in at least one standalone episode, though he didn’t say how or in what form. This Bustle article talks about the pranks currently going on on-set with the introduction of new cast. The count for Supernatural calendars for 2018 is now four: a charity calendar called If I Could Tell You: The Women of Supernatural, taking orders now, two large calendars out on July 1, and two mini calendars on September 1. The show rose to second place on the network last week by maintaining a 0.7/3 and dropping slightly in audience to 1.90 million.